The Bears (16-7-1) take hold of second place in Canada West in a crucial weekend sweep of the MRU Cougars. 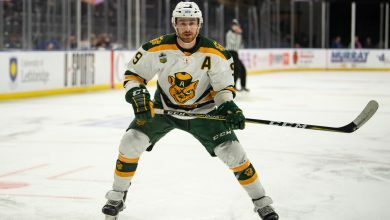 Fifth year winger and Bears’ alternate captain, Rhett Rachinski, picked up three goals in two games, scoring into an empty net in Friday’s 5-2 win and netting two more at home in Saturday’s 5-3 follow up. Mount Royal came into the weekend series two points ahead of the Bears for second place in Canada West, but now are two points behind them. The Bears remain five back of the conference leading Saskatchewan Huskies as the they prepare to close out the season with a home series against the Lethbridge Pronghorns (10-11-3) before facing the Manitoba Bisons (10-11-3) on the road. In two straight nights, the Pandas defeated the Mount Royal Cougars by a score of 1-0. Friday night’s game needed double overtime to decide a winner, but not much, as Sophomore defenseman Cayle Dillon scoring the winning goal two minutes in. The low scoring affairs add to the Puck Pandas now seven game winning streak and improve their record to 11-9-2-0. Alberta will play in Lethbridge next weekend for two games against the Pronghorns. 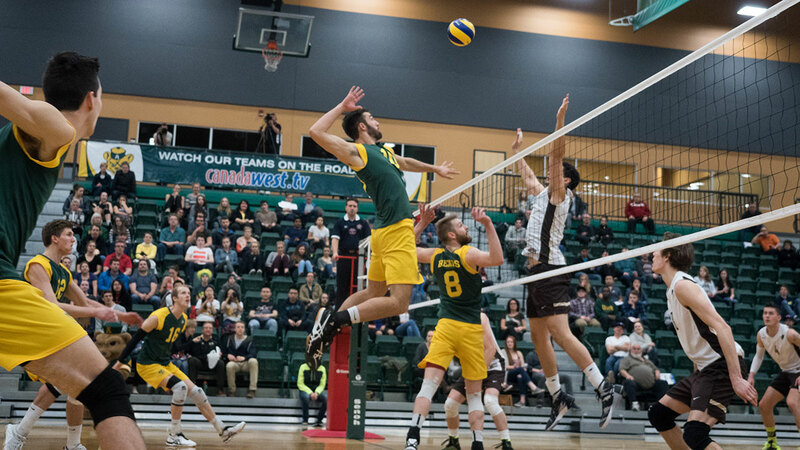 Despite a record setting performance from fifth-year setter Brett Walsh, the Bears couldn’t manage a victory Saturday night against the No. 1 ranked Trinity Western Spartans. Walsh set the new Canada West record for career assists with 3,655, passing former Winnipeg Wesmen Dustin Schnieder, who’s previous mark was set at 3,654 in 2008. The Bears entered Saturday’s game riding high off of a tough four set victory against the Spartans on Friday, but dropped the final weekend game in straight-sets. 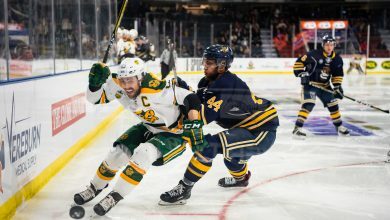 The straight sets loss is the first the Bears have endured since last year’s Canada West semi-final, against the Spartans. Next weekend the Bears welcome the Mount Royal Cougars. Saturday night at the Saville, the Pandas tied their program record with a 16th consecutive win, defeating the Trinity Western Spartans 3-2 in a five set thriller. The victory against the next best Spartans improves the Pandas to 16-0 in Canada West conference play, tops overall. The Pandas will look to continue their record breaking ways next weekend, as they host the MRU Cougars at home.